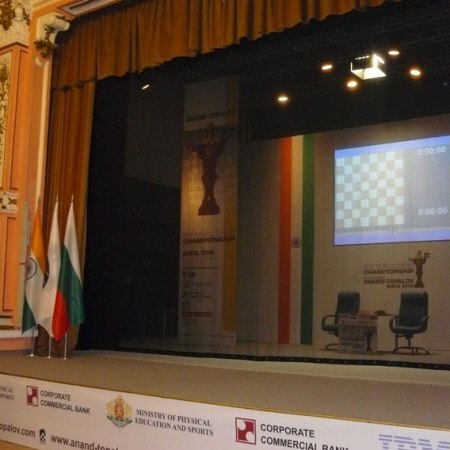 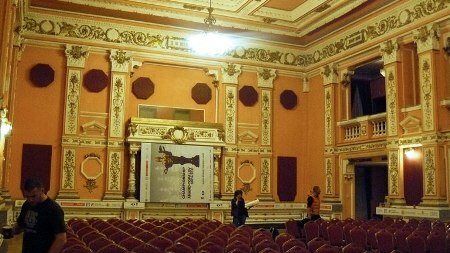 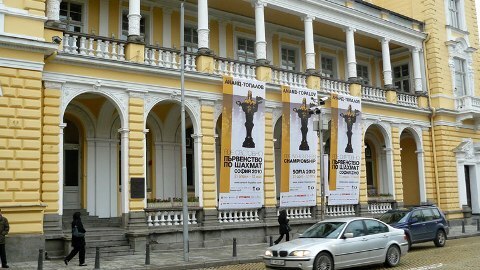 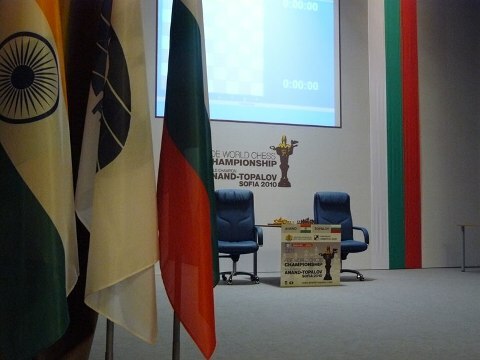 While it is still uncertain when will Anand arrive to Sofia, and whether the schedule will be altered, another inspection of the playing hall took place Monday afternoon. 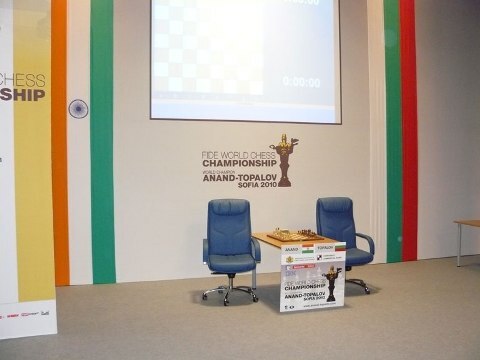 Mr. Hans-Walter Schmitt (second from left), who is representing Anand’s team, is politely declining interviews and statements. 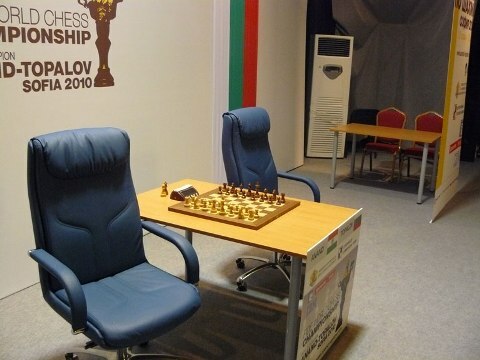 We respect Anand’s wish to maintain privacy before the match start.